Click here to see the original pattern. 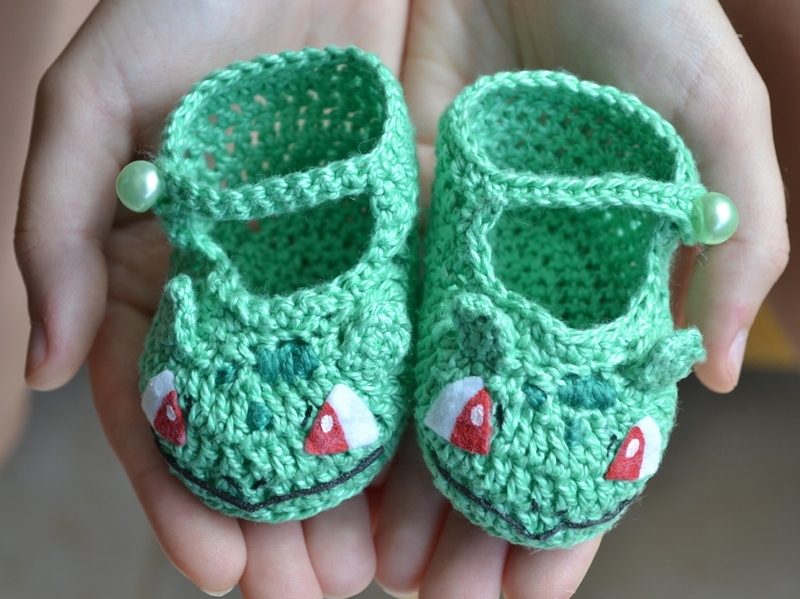 – The original pattern has a photo tutorial. Please visit Nélia’s blog if you want to see these photos. – Now, place one marker between the two dc in the point where it is going to be the front of the shoe. from that marker count 12 dc for each side and put a marker on the 12th stitch of each side. At the end you have 24 stitches to the front of the shoe and 22 to the heel. Row 9: ch 14 and make make 10 sc from the 5th ch from the hook. (the little hole is going to be the button hole). After that, make onde sc on each dc of the heel. Leave a long tail of this yarn and cut it. – ch 1, turn and make one sc and decrease until the last stitch and make one sc. Cut the yarn and finish off. – Pick up the yarn you left on the Row 9 and make some sc in each sc of the front of the shoe. I did not created this character, Bulbasaur is copyright of Nintendo!! I did not created this pattern, which was created by Nélia Botelho!! 1. Please do not share this pattern as it were mine. It is a creation of Nélia Botelho. 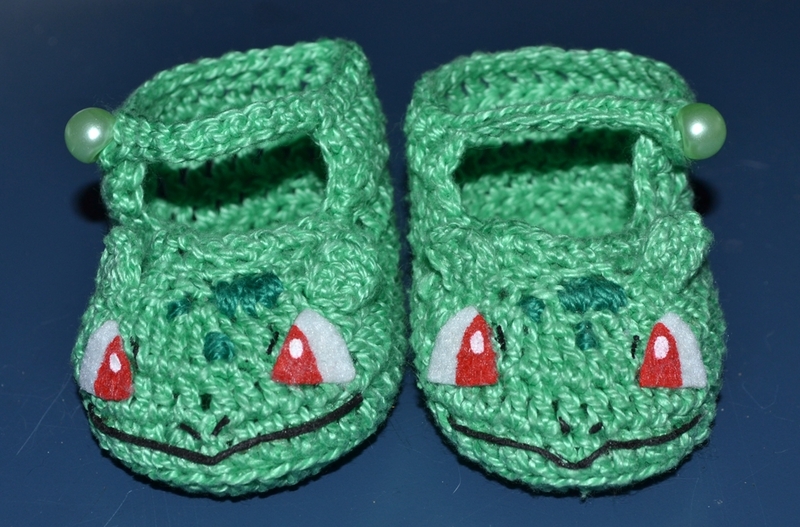 I just translated it and customized it to make a Bulbasaur shoe. oh my goth! thats so adorable!!! im totally thinking thinking of doing these!!! Awww so cute! I wish they were bigger so I could wear them though.